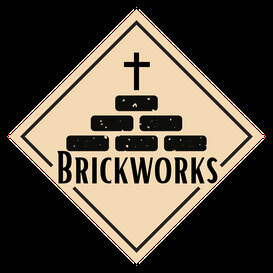 The history of Brickworks starts in 1983, when St Mark’s Church, Stambermill closed its doors for the last time. Although the congregation was thriving, the building (which stood where Stambermill Close is now) was having some problems, and the tough decision had been taken to merge with Christ Church in Lye. But as he locked the doors for the last time, the young churchwarden had a sense it wasn’t the end: “We’ll be back!” he said. Over the years a number of “ways back” were explored including a housegroup meeting on the estate, an after-school club at Rufford School and visting the estate to find out people’s concerns about the area. In 2001, Revd Simon Falshaw became vicar of Christ Church. He had a passion for the local community, spending time every day walking round the parish, praying, meeting people, seeing what was going on. Before too long, an idea started to form in his mind. In 2011 Simon had study leave and visited Pakistan. He was struck by how churches there were intentionally starting new churches, and returned asking the question, “What specifically do we need to do to help a church grow in the Rufford area?” He came to the conclusion that there was a need to recruit a person to work full time on the estate. Meanwhile, in 2009 Tom and Helen Fish, then heavily involved as members of a thriving church in the London suburbs, had received out of the blue a clear sense that God was telling them that their work there was done and it was time to move. That led them to an ex-council flat on a large estate in Lambeth, and to a journey towards ordination. Tom was recommended for training and started at theological college in September 2011. They had thought that they would stay in the area they’d moved to, with all its diversity and intensity. But Tom had also been warned on a college prayer day, of the danger of “staying in Haran” – being told by God to move, but then getting stuck in the first place you arrive. So although it was a disappointment, it wasn’t a total surprise when all the possible places in London fell through, and they had to start looking afresh at where God wanted them to go. Eventually, in March 2013, they came to look at the position Simon had advertised in Lye. Within 24 hours of arriving, they were convinced it was right, and were relieved when Simon and the church agreed. Within 2 weeks, Tom had met the bishop and got his final seal of approval on the plan. Tom was ordained in June, moved to a temporary house in Dudley Wood in July, and to Bredon Avenue in November. Soon after moving in, they leafleted the area with a card saying “Meet your new Vicar”, explaining that they were hoping to start a new church. A handful of people in the community, some of whom who had been going to other churches, responded. In January 2014 a small team, partly from Christ Church, partly from those who responded, started to meet and make plans. The team organised a series of community events – a Pancake party, an Easter Egg hunt, a children’s treasure hunt, a litter pick, and finally the visit of a wonderful team of young people from South Korea who ran children’s games and a Korean night on Rufford field in August. A growing number of local people started to get interested and involved. We also held a number of church services – a Carol Service just before Christmas, an Easter Sunday service, and then a few trial services in different locations. In the summer we decided we were ready to make it real, and committed to launch the new church in September.